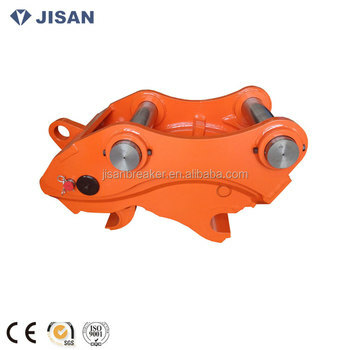 Quick hitch coupler can be used on the excavators to change every accessory(such as bucket,breaker,shear,etc)easily and quickly,which has enlarged the use scope of the excavators and saved a lot of time. The coupler structure is designed into processing one-body type rather than welding assembled type, it is said that no welding between Middle and Bottom Plate provides evenly distributed stress points, increasing durability 10 times more than the coupler with welded parts. 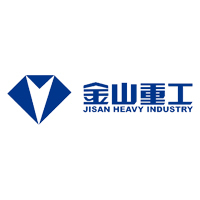 Completely solve the most worrying welding cracks and damage of body in the large equipment. 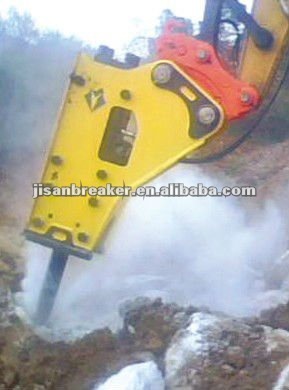 The diversity design can enable one coupler for multiple brand of equipments within the same excavator weight class, meanwhile, the versatility also make sure picking up the widest range of attachments such as buckets, rippers, especially strong in demolition attachments such as hammers, crushers, shears by making the advantage from both free type and fixed type DLK model.